Color of Change -the nation’s largest online civil rights organization committed to leveraging the power of its members’ voices to hold corporations and institutions accountable to the concerns of Black Americans. Equal Justice Initiative – The Equal Justice Initiative is committed to ending mass incarceration and excessive punishment in the United States, to challenging racial and economic injustice, and to protecting basic human rights for the most vulnerable people in American society. NAACP – The mission of the National Association for the Advancement of Colored People (NAACP) is to ensure the political, educational, social, and economic equality of rights of all persons and to eliminate race-based discrimination. Southern Poverty Law Center – The SPLC is dedicated to fighting hate and bigotry and to seeking justice for the most vulnerable members of our society. Using litigation, education, and other forms of advocacy, the SPLC works toward the day when the ideals of equal justice and equal opportunity will be a reality. Black Lives Matter – Black Lives Matter is an ideological and political intervention in a world where Black lives are systematically and intentionally targeted for demise. It is an affirmation of Black folks’ contributions to this society, our humanity, and our resilience in the face of deadly oppression. HobbservationPoint – a powerful and informative blog by one of our members, Chuck Hobbs. White Nonsense Roundup Page on Facebook – White Nonsense Roundup (WNR) was created by white people to address our inherently racist society in our own communities. We believe it is our responsibility to call out white friends, relatives, contacts, speakers, and authors who are contributing to structural racism and harming our friends of color. We are a resource for anti-racist images, links, videos, artwork, essays, and voices. These can be used by anyone for a DIY white nonsense roundup, or by the WNR team to support people of color upon their request. End Racism, Bigotry, & Inequality in our Lifetime – The purpose of this group is to become comfortable talking about racism, bigotry, and hatred in a safe, non-judgmental, & heterogeneous setting. THE GROUP IS GEARED TOWARDS HELPING WHITE MEMBERS WHO ARE BEGINNERS TO UNDERSTANDING THE CATASTROPHIC ISSUES WE FACE REGARDING HATRED, BIGOTRY, RACISM, AND INEQUALITY. Members on our page can act as “primary sources” to educate others who may not have direct contact or opportunities to befriend people from a variety of religions, orientations, cultures, or other differences. Our goal for each member is to learn and grow from other members and gain confidence in their ability to become an ally to causes that harm our sisters and brothers. 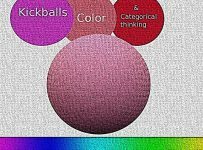 Conscious Intersectionality Social Interest Group from The Good Men Project – So you’ve got an understanding of what sexism, racism, homo/transphobia, etc is and you’re looking to take an even deeper dive into the issues? The Conscious Intersectionality group is a place to de-mystify where, why, and how various systems of oppression intersect and how the lack of acknowledgment of said intersections can render groups of people invisible and denied agency. Dream Defenders – The Dream Defenders are building a powerful, deep, local, organization and movement for freedom and liberation in Florida. Immigrant Xperience – This group site is to share experiences, ideas and to help others to adjust in their new environment. It is also a site that should be used as a platform to give hope and solutions as we settle and face new challenges.